Take your time. Smell the roses. Every so often, you stumble upon a true hidden gem. Jasmine Hill Gardens is one such discovery. 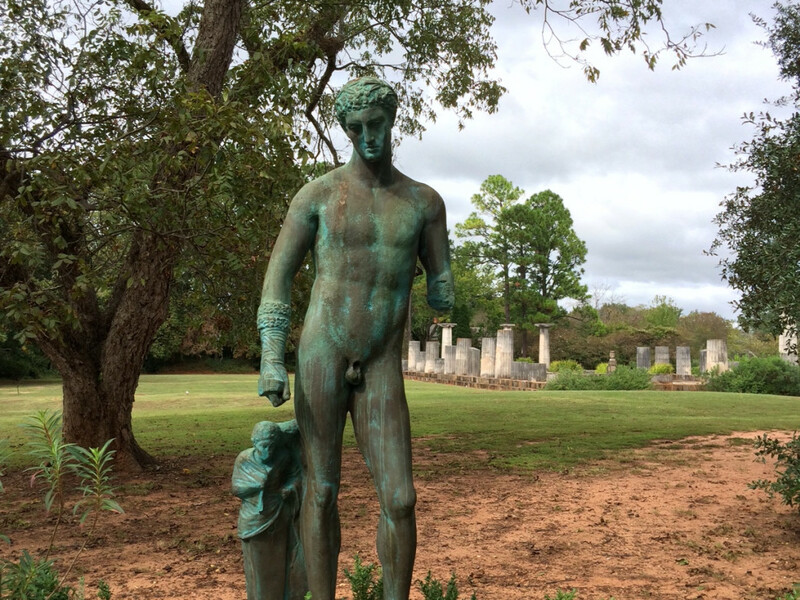 Who would expect a Greek-inspired garden in the middle of Alabama? Well a couple by the name of Benjamin and Mary Fitzpatrick conceived it back in the 1930's and lovingly built it in the small town of Wetumpka, AL where it has been charming visitors ever since. Modeled after the Temple of Hera, the Olympian Center's facade is impressive as you enter from the parking area. Displayed inside are memorabilia from Olympic Games past. As you venture out, you will find a life-size replica of the ruins of the same temple as it stands now in Olympia. 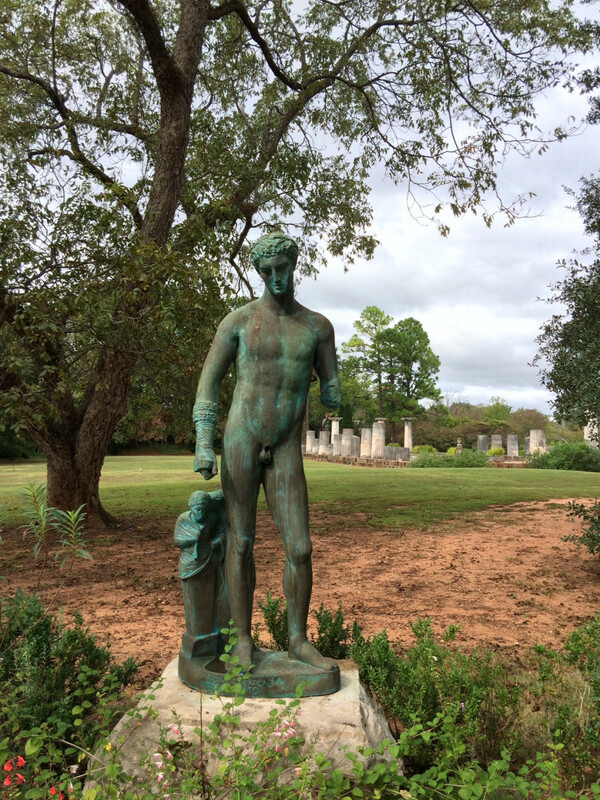 Dubbed as "Alabama's Little Corner of Greece," the Jasmine Hill Gardens and Outdoor Museum sprawls across twenty acres of well-manicured gardens graced by Greek gods and goddesses and other classically inspired sculptures. Fluttering from one lovely garden to the next, you can lose track of time amongst the tulips, azaleas, wisteria, and of course, the garden's namesake jasmine. Although the gardens are now open year-round, spring is the best time to catch these flowers in full bloom. Truth be told, a brisk walk would take less than an hour to cover the winding paths of just over a mile through the gardens. The suggested route is essentially a big oval with points of interest marked out on the provided map. There are a few uphill climbs with either steps or gentle gradients. But then you can choose to do it again, to see things you may have missed on the first pass. This is definitely more about the journey rather than the destination. When you're done marveling at the Greek statuary, don't forget to peer over the Wetumpka meteor impact crater, as Jasmine Hill sits on the western edge of it. Bring a packed lunch or even a picnic basket. There are designated outdoor eating and sitting areas for the hungry and weary hero or heroine. Anybody who is at least familiar with ancient Greek mythology will appreciate the unique blend of man-made legends and natural Southern horticulture. If your budget will not accommodate a trip to the Louvre, Jasmine Hill showcases replicas of the Venus de Melos as well as the Nike of Samothrace. It provides a great opportunity to introduce children to the ancient glory that was Greece. We just wish there was more educational information about the flowers than just their names on labels. Guided tour groups can be booked with advance notice. 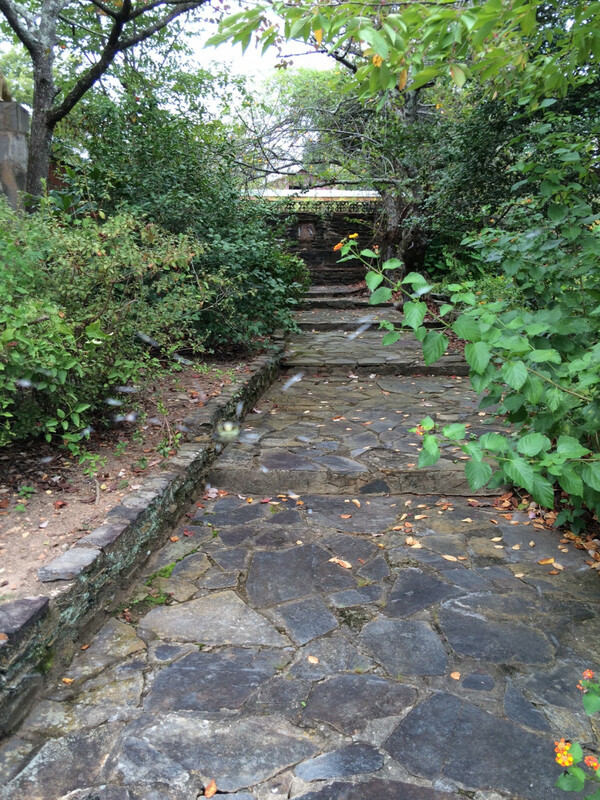 The gardens are now wheelchair accessible. From Montgomery, head north on US 231, find Jasmine Hill Road on your right, follow it onto a slight right on Brock's Moon Road. This will lead to the main gate and parking. Customers are restricted to the two-legged kind. Bicycles are also prohibited. Open Fridays and Saturdays, 9:00 to 5:00, Sundays, Noon to 5:00. Admission is charged as follows: $10 for adults, $6 for children 3-12, free for children under 3. Discounts given to active military, seniors and AAA members. They offer season passes should you wish to make return visits.